Our Cobb Wrist relief extensions were given a stonking 80% for performance in 220 magazine’s recent review. 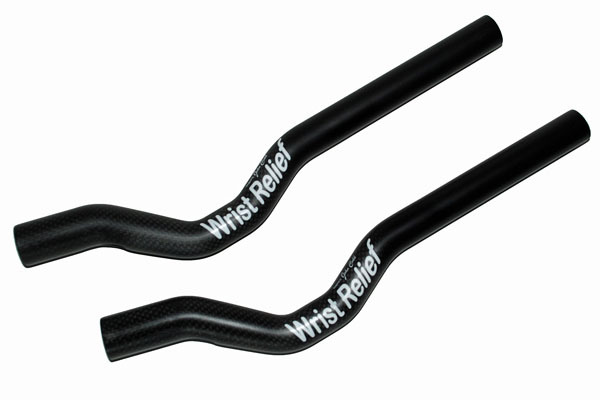 Their unique shape makes for the most natural wrist position and comfortable grip we’ve seen from any aero bar. Compatible with many brands of bars for a great aero bar upgrade. What’s more, we’ve dropped the price so you’ll now get more comfort at less cost! This entry was posted on Friday, June 10th, 2011 at 6:39 pm	and is filed under Bike Fitting, Products. You can follow any responses to this entry through the RSS 2.0 feed. Both comments and pings are currently closed.